A sparkling luncheon held at the St Regis Kuala Lumpur recently was presided by Dom Perignon’s oenologist, Nicholas Lane, a transplanted Kiwi native now lending his expertise and palate to the renown maison. He talks to The Peak about some of the champagne house’s best vintages. What makes Dom Perignon stand out? Fundamentally, I think it’s the long-term vision and ambition of the brand, right from the inspirational Dom Pierre Perignon himself. He was a bit of a perfectionist, also a man with a certain ambition and vision for his wine across the world. 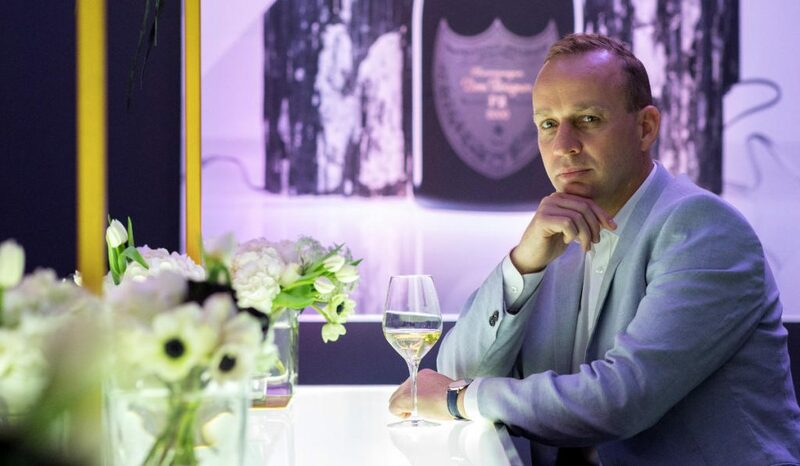 I think that’s the real driving force behind Dom Perignon – we can talk about the vineyards and the technicalities, and some of those things are very important, but the vision of Dom Perignon is to keep the brand dynamic and moving. Take this bottle of P2, released after 17 years. You can’t do that unless you’ve got a long-term vision; even a vintage is released after eight to 10 years. How does the product go beyond ‘brand’? The brand Dom Perignon is, of course, very strong, but as much energy and effort go into the elaboration of the wine as anything. People tend to refer to the brand because that’s what they see, understand and feel. To truly appreciate the quality of the wine – that’s harder for people to do. It’s a harder skill to acquire but, from the same sense that the branding of Dom Perignon is always about evolving, in the same sort of ambition, so is the winemaking. It’s not as immediately obvious. We are always looking to create something from a unique vintage and put it in a bottle. 2009 is probably one of the ripest Dom Perignons. It’s a really enveloping and welcoming wine. 2003 was a really hot year and there was really a tannic structure that we wanted to put into it. 2006 had a mineral component to it which I love. 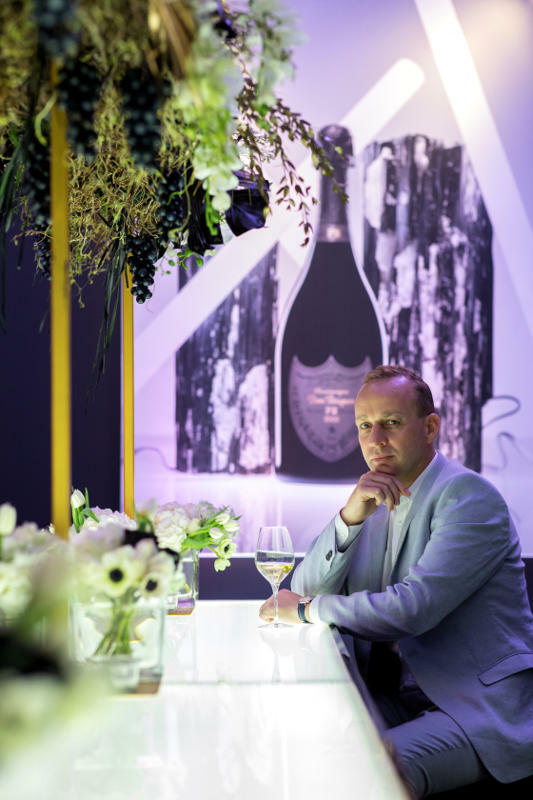 How is Dom Perignon’s commitment to vintage absolute? Ninety-five per cent of most champagne is a mixture of different vintages and that allows for the consistency of the product. Champagne is not an easy place to grow grapes so, for a business model, it’s perfect for champagne because in a period of five years, you might have two that are really difficult, one super hot, two that are nice and easy, so you need to be able to balance out. What we do with vintage only is just that – we make champagne from one vintage. We are looking to pull out a characteristic or a quality from a vintage. Dom Perignon is striving for an ideal. There can be only one blend of blanc and rosé for each vintage. Each bottle is a true act of singular creation, made only from the best grapes coming from the 17 best grand crus in Champagne and the premier cru of Hautvillers. What are some of your favourite vintages? I very much like the 2004. It’s very ethereal and so light. I had a very special experience the other day – I had a P2 from 1995, which was the complete package. 1996 is the one that everyone talks about and I love that too but, for me, there’s a generosity to the 1995 that may not necessarily be present in the 1996 even though people talk about the 1996 being the vintage of the decade. It’s all about pleasure, it’s not about the best. Because if you want the best, you look at the wine scores for the vintage. If you’re an investor in wine, then you can just look at the stats. If you want to buy some champagne to drink, don’t look at the numbers. You don’t drink points, you drink wine.